This unique gated country club community offers a world-class marina, 18-hole championship golf course designed by Wayne Stiles and renovated by Arnold Palmer, a yacht basin with 82 boat slips and three dining areas, ranging from semi-formal to poolside casual. It also features a newly renovated Health Club with a junior Olympic swimming pool and tennis courts. 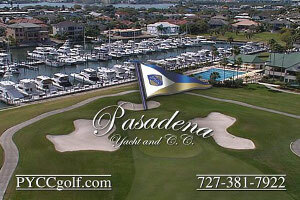 Several of the homes are waterfront or on the golf course with amazing views of Boca Ciega Bay. Membership to the golf club is by invitation. An attempt was made to request data that is not available to the key that was used to authenticate the request.API Error ID: BD730E016D144CBFA0729C4D8D656900 The API says: [The API key you supplied is not enabled] While attempting request to (http://api.wolfnet.com/core/auth).